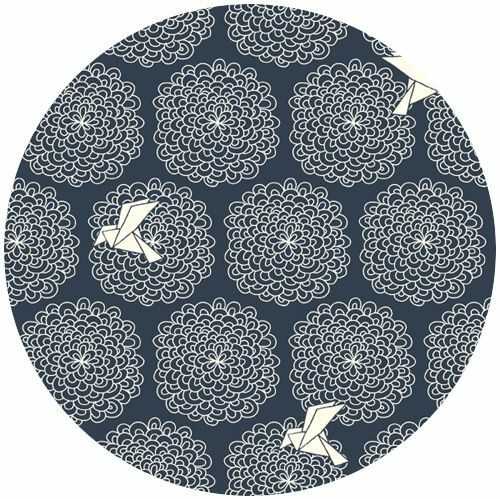 Jay-Cyn Designs for Birch Organic Fabrics, Eiko, Bird Blossoms Dark Fabric is sold by the 1/2 Yard. For example, if you would like to purchase 1 Yard, you would enter 2 in the Qty. box at Checkout. Yardage is cut in one continuous piece. 1/2 Yard Measures 18'" x 44/45"